I actually felt very sad for her in the Search. No one seemed to care after she ran away, not even Zuko or her mother. So did I. The poor girl. I think Zuko went after her but his mom stopped him. I think I remember that happening. 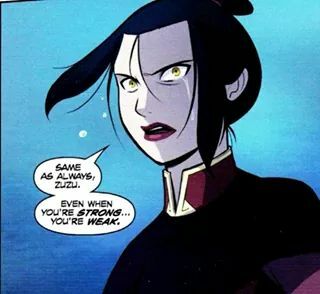 I really wanted them to bring her back and I was also hoping for a family reunion (including Azula). I still hope she comes back later and gets accepted in the fire nation again.